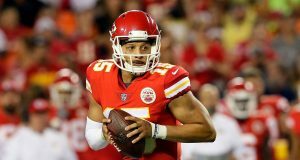 Among a group of three (or more) NFL players, determine which one you would keep on your dynasty roster, which you would trade, and which you would cut. The catch is, within each group of players, you MUST keep at least one, trade at least one, and cut at least one. The intention of this exercise is to challenge how you value certain players by comparing them to other similar players. 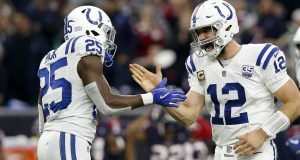 The game is no fun if you pick obvious choices, but it is a good way to compare what variables and player traits you value most as a fantasy franchise owner. 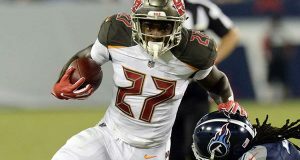 With that in mind, this article is part of a series in which I play Keep/Trade/Cut, from a dynasty fantasy football perspective, with players who (1) play the same position and (2) currently play for the same NFL team. In this edition, I will examine position groups in the NFC North. 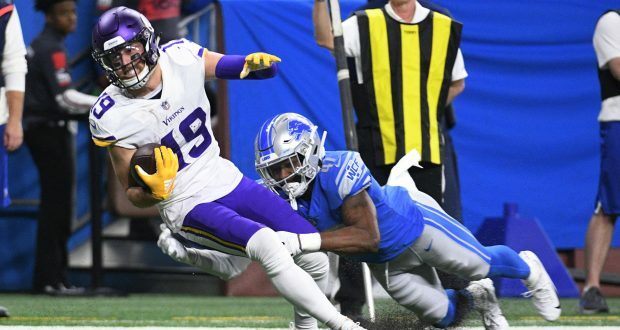 Chicago presents a problematic WR situation for dynasty owners because Matt Nagy’s offense in 2018, while incredibly effective, was not easy to predict from game to game. In the Bears’ dynamic offense, each of the top three receivers were significant contributors. Allen Robinson finished with the most targets (94) and yards (754), Anthony Miller scored the most touchdowns (7), and Taylor Gabriel had the most receptions (67) and highest catch rate (72.0%). So, while I would love another season to judge how this group shakes out, keep/trade/cut is supposed to be tough! I will, however, acknowledge that I’m perfectly comfortable holding all three guys on my roster if I can. In a PPR league, it would be especially difficult to let go of Gabriel, given his knack for making catches, but he only averaged 10.3 yards/reception last season, only scored 2 TDs and is the oldest of the group (age 28 next season). So, unfortunately, I have to cut Gabriel. The tough choice for me is between Miller and Robinson, so I wouldn’t begrudge anyone who would argue to keep or trade one over the other, but let’s split some hairs. At 6’-3” and 211 lbs, Robinson is built like an alpha wide receiver and was on pace to receive 116 targets in 2018. Had injuries not caused him to miss 3 games, Robinson was on-pace for a 16-game stat line of 68/928/5. And while not earth-shattering, those numbers are at least flex-worthy. Meanwhile, Miller profiles as more of a complementary receiver at 5’-11” and 190 lbs, but his 10” hands (according to MockDraftable) allowed him to reel in a respectable 61.1% of his 54 targets this season. And, although Miller was pretty old (24) for a rookie, he should develop significantly in year 2, as do most NFL receivers. So while Miller should see some regression from his 7 TDs in 2018, he should also see an increase in targets and yards in 2019. Miller’s potential is ultimately why I will keep him, and I will trade Robinson because I believe we have already seen his ceiling. His 80/1400/14 season in 2015 has thus far been a major outlier in his 5-year career, as Robinson hasn’t even come close to replicating that level of success before or since. So I will sell Robinson to another owner as the Bears’ top WR, knowing Miller can easily take over the majority target share within the next year or two. The Lions would have been a more interesting discussion prior to trading Golden Tate to the Eagles, but they still present a slightly challenging decision. I fully expect Detroit to address the WR position this offseason, whether in free agency or the draft. Between RB Theo Riddick getting reps in the slot after the Tate trade, and TJ Jones getting starter reps after Marvin Jones was placed on IR, the Lions are clearly in need of some depth. That said, the easy decision amongst this group is to cut TJ Jones, who is clearly not going to win anyone a dynasty title. And, while Marvin Jones probably isn’t a long-term solution either, he also wouldn’t fetch as much of a trade return as would Golladay. So let’s look at some facts… Marvin Jones is still under contract with the Lions, but they could feasibly cut him this offseason without much cap hit. Jones caught as many touchdowns (5) in 9 games as Golladay did in 15 games, but that was due in part to a greater red zone conversion rate. According to Pro Football Reference, Jones caught 5/11 (45.45%) red zone targets for 3 touchdowns, while Golladay only converted 5/15 (33.33%) red zone targets for 4 touchdowns. Another year of development and some positive regression for Golladay could amount to a couple more TDs, and could really boost his already impressive 70/1063/5 stat line. And, although Golladay is sneakily old (he turns 26 later this year) entering his 3rd NFL season, Jones may only have a year or two left of his prime (he turns 29 this year). The target trends also seem to favor Golladay, whose target average increased significantly from 2017 (4.36 targets/game) to 2018 (7.93 targets/game), over Jones, whose target average remained more or less constant from 2017 (6.69 targets/game) to 2018 (6.89 targets). With a new offensive coordinator joining Detroit in 2019 (so long, Jim Bob Cooter), it’s difficult to predict how the offense will look, but I’m assuming it will feature more Kerryon Johnson and more Kenny Golladay. So unless I can get someone to overpay, I will bank on a breakout season for Kenny Golladay and keep him. I will trade Marvin Jones for a younger, high-upside player or draft pick. Let’s get this straight, right off the bat. The only Packers WR I want on my roster right now is Davante Adams. That’s it! I would be perfectly willing to trade anyone else on this list, and probably for a reasonable price. While any one of these guys could end up being Green Bay’s WR2 or WR3 next season, there are simply too many possibilities for me to have any conviction as to who those players will be. So that’s my disclaimer – sell everyone. But that’s not the game… So let’s cut the excess first. Drop Jake Kumerow, who should have never been mentioned in any fantasy-relevant conversation ever, and Allen Lazard, who wasn’t fantasy-relevant in Jacksonville and won’t be in Green Bay either. Valdes-Scantling is the only WR I will keep because he at least developed some chemistry with Aaron Rodgers, which is why he received the second-most targets (73) on the team, far outpacing his fellow rookie teammates. MVS gets the nod over both Cobb and Allison because both are set to become free agents this offseason, and neither was able to stay healthy last year. Allison has a reasonably good chance to return, but his value is strongly tied to Aaron Rodgers so I’ll trade him while I can, just in case he’s on a new team in 2019. I see a much lower chance that Cobb returns, and with his injury history and diminishing productivity, I’ll trade him for almost anything I can get. J’Mon Moore was selected the earliest in the NFL Draft (4th round) among all the Packers rookie receivers, but he collected the fewest targets (3) and receptions (2) among the group. I’ll see if his draft pedigree can net me anything in a trade, because the early returns on Moore are not promising. And last but not least is St. Brown, who along with Allison, may actually net a decent return via trade. ESB never received more than 5 targets in any game last season, but he is the youngest receiver on the roster (age 22) and possesses the size (6’-5”, 214 lbs) and speed (4.48 second 40-yard dash) that most NFL teams (and other dynasty owners) should covet. That said, St. Brown still fell to the 6th round of the NFL Draft, and was unable to beat out Valdes-Scantling when the opportunity presented itself. ESB seems to struggle with physical corners, and often lacks the precision route-running technique required to create separation. So I will trade him, and hope to capitalize on his physical traits and potential.